Every year since 2015, Porsche factory drivers have pocketed the drivers’ title in the FIA World Endurance Championship with the 919 Hybrid Le Mans prototype. The new champions: Brendon Hartley, Timo Bernhard and Earl Bamber. Finishing second at today’s six-hour race in Shanghai, Earl Bamber (NZ), Timo Bernhard (DE) and Brendon Hartley (NZ) succeeded the previous title winners Romain Dumas (FR), Neel Jani (CH) and Marc Lieb (DE). 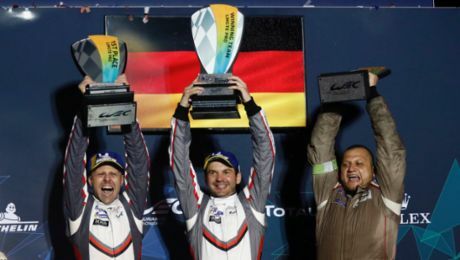 This marks the second driver’s world championship in the WEC for Bernhard and Hartley after 2015. 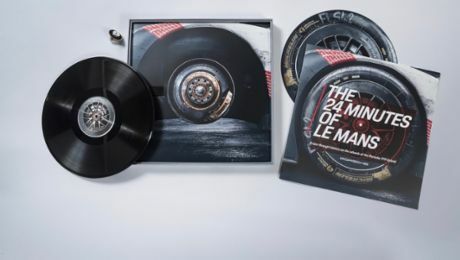 With twelve race victories between them, the two are the most successful long-distance drivers in WEC history: they clinched their first world championship title in 2015 with Mark Webber (AU). Each brings their own driving style with them, each as unique as their signature. They first have to adapt this style and then make an honest evaluation when setting up the car. The short practice time has to be divided between the three. Even with settled weather conditions, not all three draw the same cards in completing a qualifying simulation on fresh tyres. And not all three will get a chance to test a set of tyres at the end of its lifespan. Still, by race time, each must know how the car handles with new, used or worn-out rubber. Feedback about the grip level and turn-in response or warnings for wet spots or inattentive competitors have to be formulated reliably, classified correctly by the recipient and implemented. There is no room for personal preferences in the setup work. No one benefits from measures that only one can use. But all pay when one doesn’t cope. It’s all for one and one for all. While one musketeer is out on the track, the other two are glued to the monitors, listening to radio communications and consulting with the engineers. At 36 years old, Timo Bernhard is the longest-serving Porsche works driver. The man from Saarland in southwest Germany launched his Porsche career in 1999 as a junior and was crowned champion in every category of Porsche’s motor racing pyramid. It was Bernhard who carried out the first function tests in 2013 with the first version of the Porsche 919 Hybrid. During the difficult initial test phase, he assisted the fledgling LMP squad in banding together. From 2014 until the end of 2016, he shared the car with the then 24-year-old Brendon Hartley from New Zealand, and Mark Webber. The Formula 1 ace from Australia and the young Kiwi benefitted from Bernhard’s experiences in endurance racing. The German has won all the classics: Daytona, Sebring, Le Mans and the Nürburgring 24-hour race five times. Hartley is grateful to have “learned so much from Timo and Mark.” For his part, his sheer speed earned him respect from the start. “Our young hotshot,” Bernhard used to call him as he gave him a friendly slap on the shoulder. Thumbs up for Hartley, who outside the cockpit was often rather shy at first. Webber grasped how things were done in endurance racing, he was delighted to discover the different atmosphere in the pits, and feeling rejuvenated, contributed his wealth of experience with serious downforce vehicles. Thus, the disparate three grew into a formidable triumvirate to become world champions in 2015. When Webber, at the age of 40, stepped down at the end of 2016 after three years together, Bernhard and Hartley agreed: Earl Bamber was the man. Kiwi number two joined the team. He was eight months younger than his compatriot Hartley and a shooting star at Porsche: As the winner of the Porsche Motorsport International Cup Scholarship, he scored the title in the 2014 Porsche Mobil 1 Supercup as well as the Carrera Cup Asia, for the second time straight. At his debut in the Porsche 911 RSR at Petit Le Mans on Road Atlanta he promptly secured second. In early December 2014, Porsche signed him on as a works driver and in 2015 he joined the crew in the third Porsche 919 Hybrid for the 24 Hours of Le Mans. 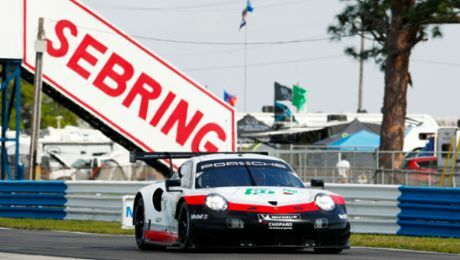 There, he achieved the 17th outright victory for Porsche with Nico Hülkenberg (DE) and Nick Tandy (GB). Hartley knew more about Bamber than just his race successes: the two had grown up together – city boy Brendon and country boy Earl. “My parents were happy to drive me to Earl’s farm, sometimes for quite long stays,” recalls Hartley, “and our summers there were great.” Bamber reveals: “Brendon learned to drive a car at our place,” before adding with a grin, “and he was confronted with some aspects of rural life.” Hartley replies, “Your father bribed me with sweets to teach you how to drive a kart.” The teacher was seven years old, his pupil was six. The two competed against each other until they were twelve, before going their separate ways. Hartley continued his single-seater career in Europe and quickly advanced. He was contracted as a reserve Formula 1 driver for Red Bull Racing and Scuderia Toro Rosso, he worked as a simulator driver for the Mercedes F1-team and, when things didn’t work out with a permanent F1 cockpit, he then discovered endurance racing in LMP2. Bernhard’s motivation to request Bamber as the third driver was not only because of his impressive résumé: The New Zealander had previously contested the Carrera Cup Deutschland for his team. “Until I couldn’t hold on to him anymore because he was too good,” says the former-team boss with a laugh, as he slaps Bamber on the back. See the résumé of Earl Bamber in the press release (Downloads). See the résumé of Timo Bernhard in the press release (Downloads). See the résumé of Brendon Hartley in the press release (Downloads).